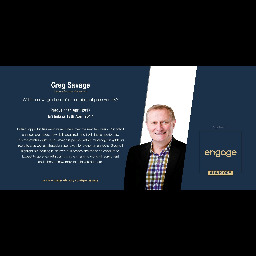 Greg Savage, a living legend in Recruitment industry, is bringing his first Master Class Ever in CEE. Brilliant opportunities exist for recruiters over the next few years. But only if changes are made, new skills acquired, and fresh tactics perfected. This masterclass with Greg Savage is packed with cutting edge insights for recruiters as well as strategic imperatives for owners/managers. Greg will highlight his learning in his own businesses and those he consults to. Expect to go away with clarity on the changing world of recruitment and a host of new tools to help you bill more.